The Galaxy S7 edge is arguably the most beautiful smartphone in the world, and it is the curved display that enhances the smartphone’s beauty. However, it can sometimes cause issues while using the device due to the curved nature of the display. The bezel around the display is far too thin to hold the device properly without your palm or fingers touching the curved part of the screen. Apparently, some users are facing issues with the display on the Galaxy S7 edgecausing unintentional touches, especially while using the onscreen keyboard and the camera app. This might be due to improper functioning of the palm/finger rejection mechanism. Without proper palm rejection, the shutter button in the camera app might not register a touch. It might also cause problems when you are typing using the onscreen keyboard. This problem might or might not affect you depending on how you are holding the device. 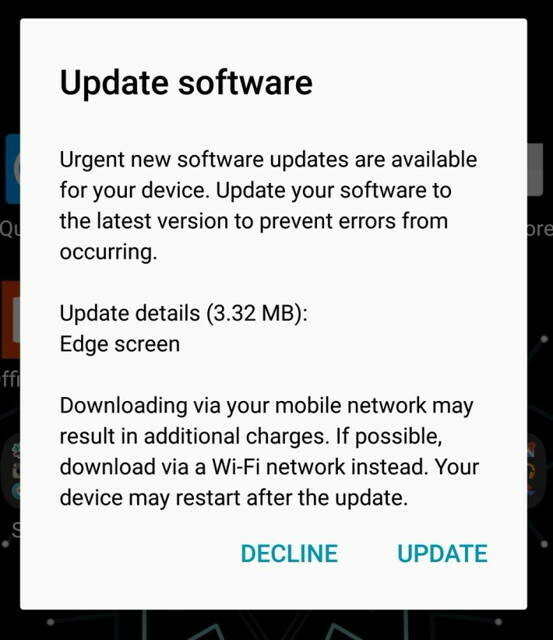 Samsung has released an “urgent software update” for the Edge screen. However, some users who received the update are still affected by the issue, so we are not sure whether the update was to fix the palm rejection or simply to add more features to the Edge screen. If “you are holding it wrong“, the situation can get extremely frustrating due to accidental touches or app launches. Samsung should fix this issue before the ‘edge-gate’ issue becomes widespread. Are you experiencing a similar problem while using your Galaxy S7 edge? Let us know your thoughts about it in the comments section below.